While we travel the world to bring you unique and beautiful objects, sometimes there's nothing we want more than a perfect piece of home. 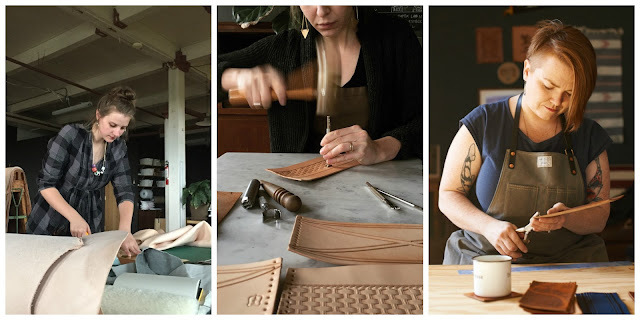 Enter the talented leather smiths of Tactile Craftworks, our neighbors to the north based in Milwaukee, Wisconsin. 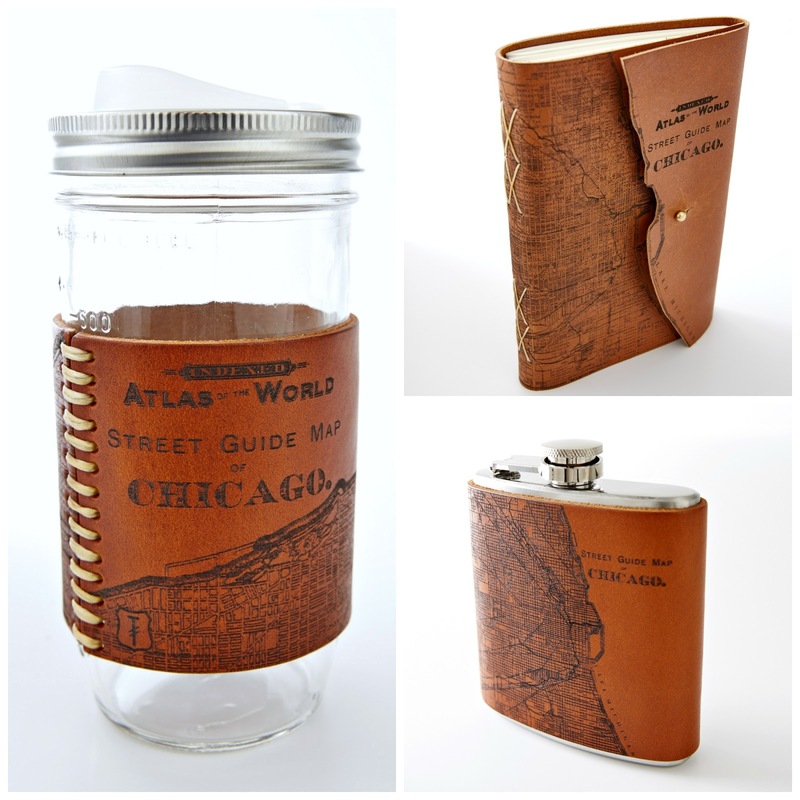 Our handcrafted leather Chicago accessories are part of their Atlas design series, inspired by a reoccurring conversation regarding the concept of place. Specifically, designers Sarah and Anna are interested in the paradoxical pull many of us feel towards travel and adventure, while we also crave continuity and community. Read on to learn how this concept manifested in maps, in this edition of "How it's Made." With backgrounds as theatrical craftspeople, both Anna and Sarah have a keen interest in historical artifacts and ephemera. Their maps felt like a natural fusion of their conversations and interests. The Chicago map is a Rand McNally design, honoring the work of Sarah's grandfather at the Chicago company where he worked for 40 years. Sarah and Anna begin the production process by laser etching designs on unfinished crust-side leather. As certified 80/20 US company, 80% of their materials are made in the USA, and their leather is tanned in Milwaukee and Pennsylvania. The ashed design is then sealed with a custom coating and left to dry. When the drying process is complete, the leather is hand glued, stitched and dyed. The final step entails finishing the leather edges with a beeswax sealant. 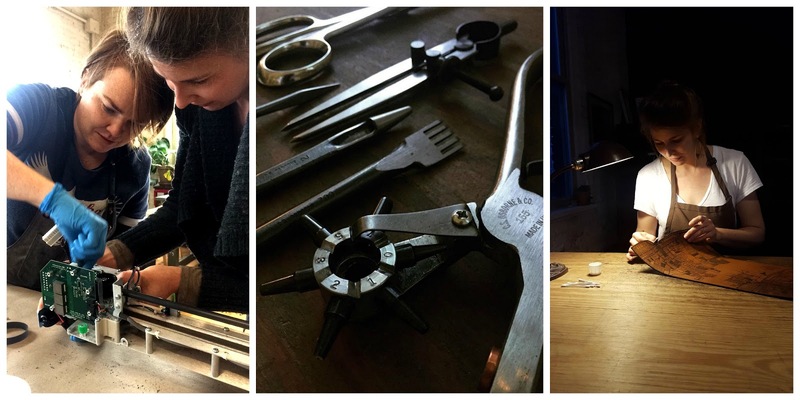 While they strive to create the most durable product possible, Sarah and Anna love to see their items well-used, with a visible patina demonstrating someone has taken Tactile's work and made it their own. Like the terrific team at Tactile Craftworks, we love hearing our customer's stories about how our items become treasured keepsakes. Please drop us a line anytime and tell us how you're using your Chicago map mementos or any of our unique, handmade gifts!